Confidently manoeuvre your caravan, truck, 4WD or trailer and avoid unseen or unexpected obstacles when reversing with this wireless camera kit. The 4. 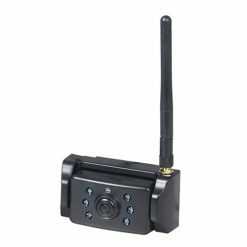 Confidently manoeuvre your caravan, truck, 4WD or trailer and avoid unseen or unexpected obstacles when reversing with this wireless camera kit. 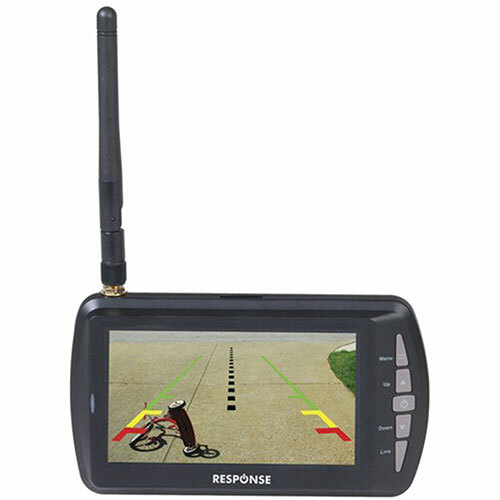 The 4.3” colour display and camera features signal stabilisation and processing for high speed observation of up to 100m range as standard reversing cameras will not provide enough distance to reach a caravan, truck or trailer. Prior to travelling, securely affix the camera in place and plug the monitor into your vehicle’s 12V auxiliary power outlet, then pair them to adjust the camera to the preferred angle. 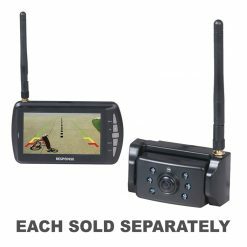 You can pair up to two cameras with an additional camera (QM-3857) being placed on your car or 4WD and one on your caravan or trailer to have a dual camera display or be viewed individually. The camera features infrared night vision, adjustable angle and waterproof housing to ensure it will cope in the harshest weather conditions. Includes suction cup mount and cigarette lighter plug power for the monitor.